Juliet has just returned from an amazing time in Nelson and Blenheim talking and tasting cheese for 4 days to cheese lovers and chefs organised by Cranky Goat Ltd, Thorvald and Viavio Cheese along with Pecham’s Cider, Whitehaven Wine, Brightwater Vineyards and the glorious Honeydew Honey from Taylor Pass Honey Co. If you want to make your own cheese then check out Country Trading Company who have the best cheese making kits and recipes. Order your Cheese Book and receive a voucher for 50% off your next Cheese Tasting. 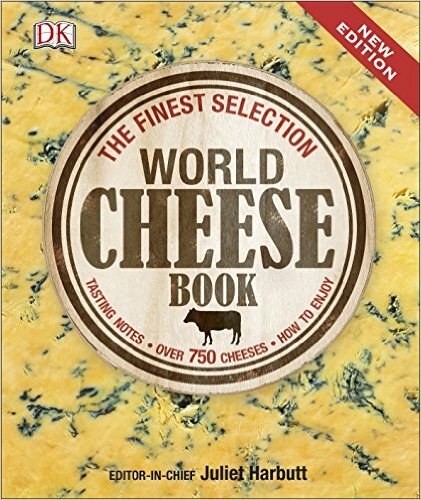 World Cheese Book [$48] was Juliet's 3rd major cheese book and won the Guild of Foodwriters [UK] prestigious Food Book of the Year Award in 2011. Updated in 2015 it has now sold over 90,000 copies in 9 languages and has received great reviews from both cheese lovers and the cheese trade. ORDER ONLINE before midday Wednesday 29th August and we will courier to anywhere in New Zealand in time for Father's Day hopefully [or to Mother, aunty or you because you deserve it!] including a special message or dedication from the author PLUS a free handy pull-out card with a summary of the 7 key types of cheese. This tasting is all about comparing in depth the same cheese at different stages of it's life [a vertical tasting] and similar cheeses at the same ages [a horizontal tasting] all paired with great Hawke's Bay wines. Only 8 tickets remain so don't leave it too long. The oldest cheese in the world has been found by archaeologists and it comes with its own sort of pharaoh's curse.